This year’s card was inspired by a walk in nearby Earlscourt Park after a November snowfall. I got to work with the awesome Melanie MacDonald last week on this giant Google G. Mel needed a tight cutter to get this pop-up shop job done in a hurry, so she gave me a call. 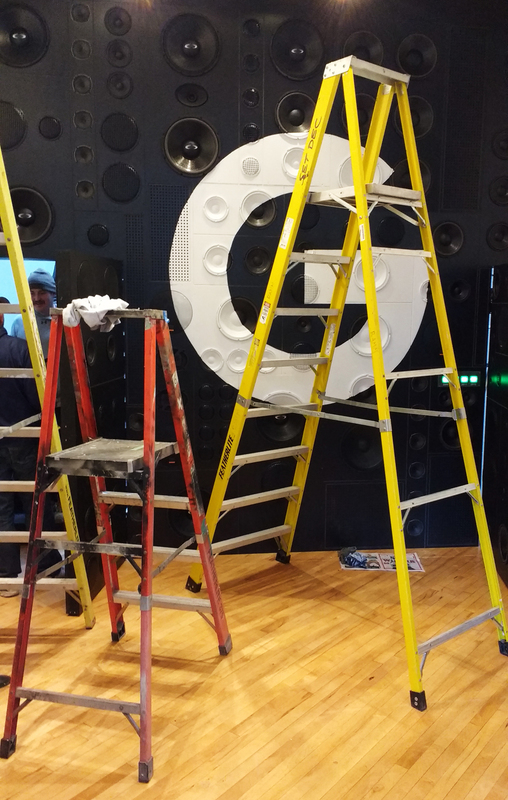 Cool job to work on, and the installers and project designers were super nice folks. Ramm Design Labs built the four room project for the Pixel 3 “record shop” , popping up at 202 Queen Street West, Toronto November 27 to December 2. 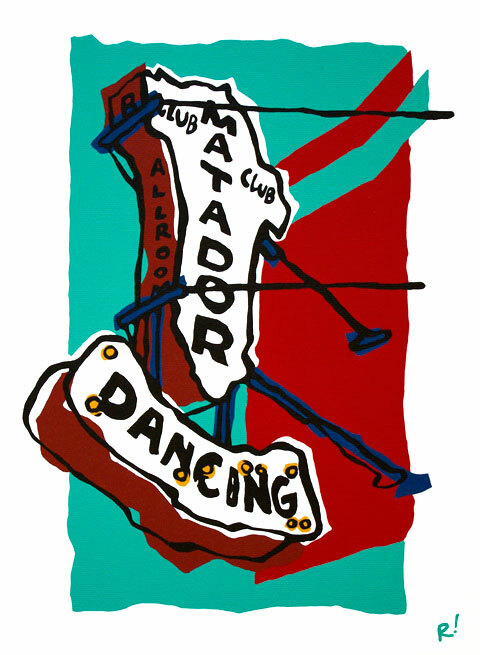 When I ran Swizzle Gallery on College Street in the early 2000s, I always took visiting artists to the Matador. The late-night speakeasy had a big dance floor and good country bands and felt like a secret (even if everyone including the cops knew about it). 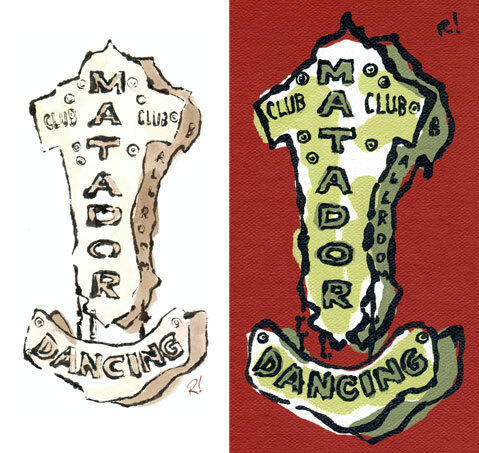 I’ve done several drawings and paintings of the Matador’s sign over the years. 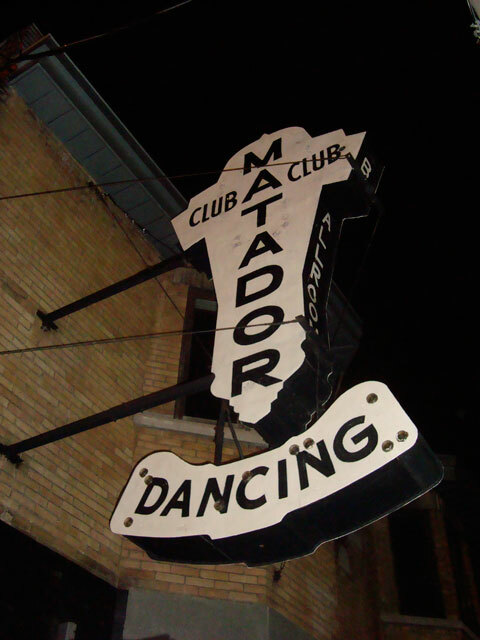 I’ve heard the strange sign came second hand from a bowling alley and was inverted, but like most stories about the Matador, I can’t confirm this one. I was recently commissioned to do a new painting of the sign by someone who regretted not buying one of my earlier paintings. The result, based on some new photos I shot on a freezing cold night in November, is at the top of this post. This painting has me inspired to paint more music venue signs, maybe large. The El Mocambo and Silver Dollar are obvious candidates, but I might also do some less-remembered signs from Toronto and my hometown Vancouver.